Have the years been unkind to your smile? If you have suffered from injury or disease, or even just bad luck when it came to the development of your smile and its supportive structures, you may be living with daily pain and discomfort. Better oral health is possible for you with advanced, comfortable restorative dentistry from Cardinal Dental Group. Together, we will create a treatment plan that will provide renewal and rejuvenation for your smile. Your diet, health, and confidence will skyrocket when you can eat, speak, smile, and laugh with ease. Don’t go another day without exploring your restorative options. If you are missing one or more teeth dental implants can be your permanent smile solution. Dental implants involve the placement of a surgical grade titanium post into the area of the missing tooth or teeth. Your Cardinal Dental Group team will work directly with one of our trusted specialists for the placement of your dental implant. 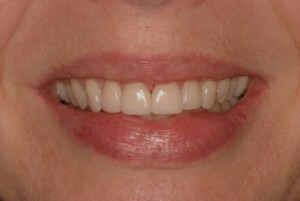 Then, after a period of healing, a custom crown will be created for you to place over the implant. Are you one of the many people benefitting from the amazing restoration provided by dental implants? If so, it is possible that your years of enjoying a functional, beautiful smile have left you with a restoration that is showing a little wear and tear. Or, perhaps an accident has damaged the restoration that caps your dental implant. You will be happy to know that Cardinal Dental Group can rejuvenate your implant restorations, making them look and feel better than ever. Your porcelain restoration will receive the same care and attention to detail as your natural teeth, and the fit will feel extraordinary! Ask about implant restoration today. A: By replacing missing teeth either with a bridge or an implant, you will alleviate the problems associated with missing a tooth and will restore your smile to its beautiful, full appearance. A bridge is one solution for replacing a tooth. 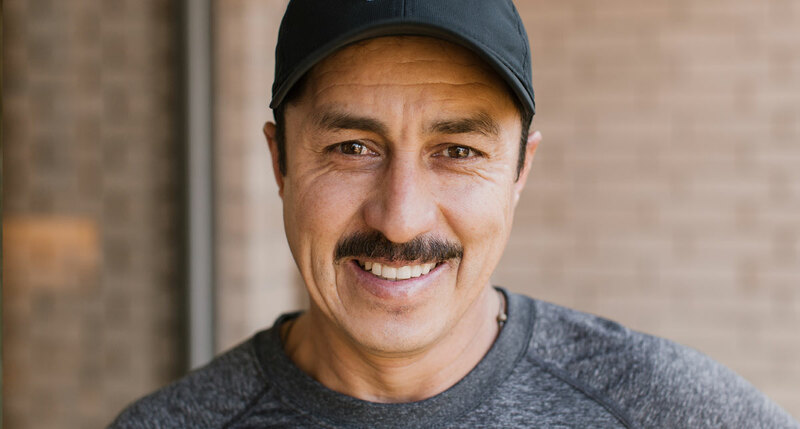 By using neighboring teeth as the supportive structure, your dentist at Cardinal Dental Group places a porcelain restoration into the vacant space, restoring the functionality and look of your smile. A dental implant is also an excellent solution. Dental implants involve the placement of a titanium post directly into the jawbone. 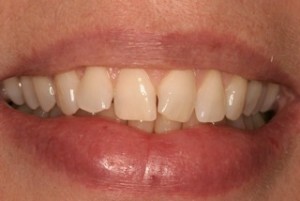 Once the post has bonded to the bone, it can act as a new, solid support for a natural looking, porcelain restoration. Implants can replace a single tooth or an entire set of teeth, offering more function and permanence than traditional dentures. You deserve the best care available in dentistry. That means receiving treatment from a team that utilizes the most advanced dental instruments. Implant-supported dentures can give you the alternative to traditional dentures that you’ve been seeking. Instead of dentures that may shift about in your mouth, dental implants provide a solid anchor for your dentures. In fact, you won’t even have to remove your dentures for cleaning. An associate of Cardinal Dental Group places the dental implant (a surgical-grade titanium post) in the area where the tooth once was. After a period of healing, your new dental implant bonds with the surrounding bone and gum tissue, providing a stable base that will secure your dentures. This also helps to keep the supportive structures of your mouth engaged so they won’t atrophy. Another alternative would be to use mini-implants to support and hold your denture securely in place. If this solution is appropriate for you, the dentists at Cardinal Dental Group can perform this procedure for you. You will love the way your new, natural-looking dentures function and feel. When you have no teeth to keep the supportive structures of your mouth active, such as your gums, jaw, and other facial structures, these features could atrophy over time, which can dramatically alter your appearance. Avoid such a fate, and continue your normal life with great fitting, great functioning dentures from Cardinal Dental Group. Your Cardinal Dental Group doctor will design a set of perfectly-fitting dentures that look completely natural. Plus, by utilizing dentures, you’ll keep the supportive structures of your mouth active, which will prevent them from shrinking away, thus altering your appearance. You will also find that you are able to enjoy a full healthy diet while getting back to your normal lifestyle. If missing a single tooth would be a detriment to your smile, missing several teeth in a row would be very destructive – not only to your smile, but also to your regular lifestyle. Partial dentures can give back your functioning, complete smile that looks natural and healthy. Partials from Cardinal Dental Group look and feel excellent and keep the rest of your healthy teeth from shifting about in your mouth and causing future problems. Your doctor at Cardinal Dental Group will design a partial that looks completely natural and fits perfectly. You will love getting back to you normal lifestyle again. A custom-milled porcelain crown, designed by Dr. Onemany or Dr. Seaberg, could be your solution for a broken, discolored, or misshapen tooth. Crowns are also an option when a tooth has significant decay and when a filling is no longer an option. Your crown will look and feel completely natural and will flawlessly match your natural teeth. After a little tooth preparation, your dentist will place your crown, ensuring your bite perfectly aligns. With proper care, your crown will last for years and will continue to look amazing. A: If your doctor has recommended a crown for you, it is likely either to correct a broken tooth or to repair a tooth that has deteriorated due to cavities (decay). The decay in your tooth eats away healthy tooth structure much like rust eats away at metal. If not removed, decay will deteriorate the tooth to the point where extraction is the only viable treatment option. Sometimes decay is removed, leaving healthy tooth structure but not much of it. A crown can then be placed, restoring the look and function of your tooth, while allowing you to keep your natural, underlying tooth structure. Most crowns are precision-milled porcelain or full metal (gold or silver) and are individually customized for each application in each patient, giving you a natural, long-lasting smile. A missing tooth can make you self-conscious when you speak or laugh. Plus, the hole in your smile can allow your other teeth to shift, which may cause future problems. A porcelain bridge completes your smile in a way that looks and feels completely natural by using the teeth on either side of the gap as the supportive structure. After a little tooth preparation, your Cardinal Dental Group dentist will position two customized porcelain crowns on the neighboring teeth. Between these crowns, your dentist will suspend a porcelain restoration. The three elements will work together to restore your beautifully functioning smile, and the results will be virtually undetectable from your other natural teeth. Sometimes the damage to a tooth, due to injury or decay, is more than a filling can handle. A dental inlay or onlay is a porcelain restoration that repairs the form of your tooth, yet preserves more of your natural tooth structure than a crown. The custom-milled porcelain inlay or onlay is perfectly color-matched to blend in with your natural tooth shade. It will function and feel just like your natural tooth, and this durable restoration will last for years with proper care. Do you experience headaches on a regular basis? What about muscle pain in your neck and shoulders? You may be surprised to know that these symptoms may be related to temporomandibular joint problems, often abbreviated as “TMJ.” In addition to pain in your jaw joint, these symptoms may be a sign that you clench or grind your teeth while you sleep, or that you have another chronic problem with your jaw joint. Your Cardinal Dental Group team can create a treatment plan that helps you find relief. This plan may include the use of one of several dental appliances designed to help your jaw relax. Regardless, rest assured that you will experience relief sooner than you think.